A. A nominee must have been an active high school coach in Wisconsin for at least twenty (20) years and a WISCA member for at least fifteen (15) years. Banquet chairperson by March 1. B. Nomination may be made by any current or former member of WISCA. **To nominate a deserving receipent, please click HERE. The person(s) must have been a paid member of WISCA for no less than four (4) years. That the person(s) have served as one or more of the following over a period of no less than two (2) years. *Contibutor towards the organization ideals for the enhancement of the sport of swimming and diving. 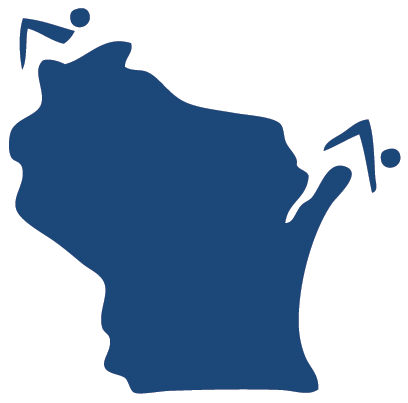 WISCA to verify any positions held or contributions toward the sport. A person may only receive one award over a five (5) year period. Candidates that meet criteria must submit written information that satisfies outlined requirements by the above mentioned deadlines. A vote to select the two (2) award winners will take place, at the spring meeting, if more than two (2) nominations are submitted for consideration. The award is based upon the number of years a person has served as a Wisconsin high school head or assistant coach. Person has been a paid member of WISCA for a minimum of five (5) years. The person has no current or past WIAA code violations. Person must list the school(s), positions held and number of years at each respective school. To receive Academic All-State honors the student-athlete must meet all the criteria below and be nominated by their WISCA member coach by March 15 after the boys season. Swimmers/Divers of non-WISCA member coaches cannot receive this award. Student-athletes will receive a certificate of achievement. Must have been member of the team for a minimum of two (2) seasons. The athlete must have earned a varsity letter in at least one of those two season.